The Grunendahl Life: just another reason why H is the best! just another reason why H is the best! Heinz is the best in so many ways but it really is the small things he does that make the biggest difference to me. 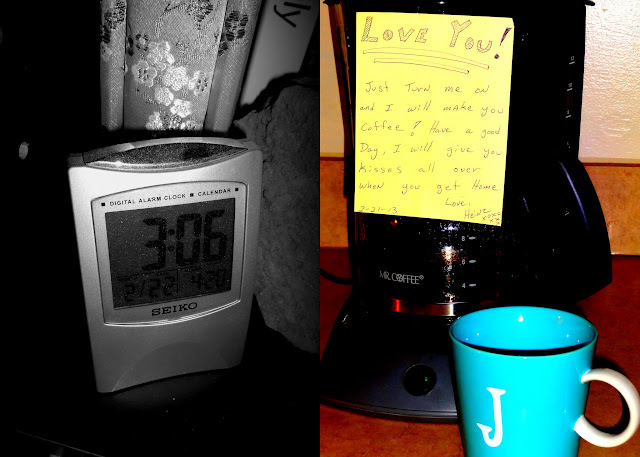 Many of you may or may not know that my job requires me to be a very earlier bird (yes, that is a 3 as in 3AM, yikes), so on work nights I am in bed by 8pm (alright grandma) and even earlier sometimes:/ Coffee is almost always a must for me and it is so nice to wake up to a cute note and coffee that is ready to go. It's all in the little things in life that make it that much sweeter. This week has been a busy one (but a good one), so stay tuned for more beauty and adventures from Paris next week.